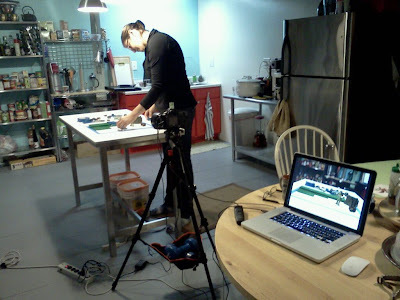 the art of Rachel D. Mark: Stop Motion Sunday: Mah Shoes are Dirty! Stop Motion Sunday: Mah Shoes are Dirty! Me in my kitchen. Photo By Geoff Evans, all rights reserved.